Having studied with the Centre of Applied Pet Ethology (COAPE), I acquired an Advanced Diploma in the Practical Aspects of Companion Animal Behaviour and Training Level 3 in 2006. During 2015/2016 I studied for Level 4 (first year degree level and OFQUAL regulated) - and gained a Grade A Distinction! 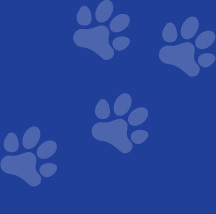 I am a member of the COAPE Association of Pet Behaviourists and Trainers (CAPBT), which has a huge support network. I have been instructing pet dog training classes since 2005, and have in the past taught all levels of the Kennel Club's Good Citizen Dog Training Scheme, from Puppy Foundation through to Bronze, Silver and Gold with Denne Park Dog Training Club. I qualified as an Agility Club Approved Instructor (ACAI) in October 2010, and until recently was also an Instructor and a Section Representative with Billingshurst Dog Training Club Agility Section. In addition to running a range of very successful and popular pet dog training classes in the Horsham area, I also provide professional 1-2-1 training and behavioural advice. The training sessions are tailored specifically to the needs of the individual client, with behaviour cases being on veterinary referral. Only positive, kind, reward-based methods are used. I do not use aversive equipment such as electric collars, prong collars, or choke chains, etc. I ensure my knowledge is kept up to date by attending lectures and seminars, enrolling on courses, and lots of reading. I have owned dogs for most of my life, and currently have a tri-merle Collie and a Lurcher - both rescue dogs. I train and compete regularly in Agility with my dogs.